With a refreshingly straightforward yet effective approach, The Loving Story tells the story of Richard and Mildred Loving. The Lovings were the couple at the center of the landmark 1967 Supreme Court decision, Loving vs. Virginia, that outlawed anti-miscegenation laws in the United States. 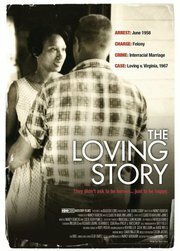 Utilizing a wealth of archival footage, mostly in black-and-white, and interspersed with mostly traditional "talking head" interviews, The Loving Story is both an emotionally satisfying and intellectually stimulating 77-minute short that will likely resonate deeply with those for whom civil rights remains a deep interest and, especially, those for whom the "right to marry" remains a fundamental concern. Richard was white, Mildred black. In 1958, Richard and Mildred married in Washington, D.C. and returned to their hometown of Caroline County, Virginia. While they weren't naive to the issue of racism, they professed surprise that their marriage was, in fact, against the law in Virginia and they were arrested. For the next several years, the humble and unassuming couple would live in either Washington D.C. or secretly in their hometown while trying to remain hidden from local law enforcement. Eventually, Mildred would write Robert F. Kennedy. He, in turn, referred the couple to the American Civil Liberties Union, a longtime civil rights organization that took up their cause. Richard and Mildred weren't activists at heart. They were simply a man and wife who wanted to be free to love one another. The magnificent find in the film occurred with director Nancy Buirski and editor Elisabeth Haviland James stumbled upon a slew of 16mm footage chronicling many of the couple's struggles, their home life and the work of their lawyers. The footage had been shot as part of a potential documentary that never actually was completed. Here, it adds tremendous insight into the couple and the humble way in which they lived their lives. 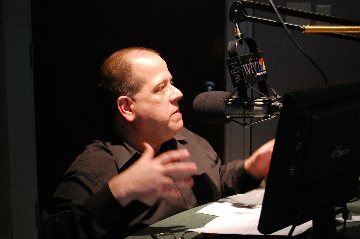 The Loving Story is an Official Selection of the 2011 Heartland Film Festival in Indianapolis and will be broadcast on HBO in February, 2012. The film had its world premiere in April at the Full Frame Documentary Film Festival. In a world where the most famous documentarians seem to be Michael Moore and Morgan Spurlock, it's refreshing to see a true, non-entertainment focused documentary that still manages to be captivating in a way reminiscent of The Maysles Brothers. For more information, visit The Loving Story website.